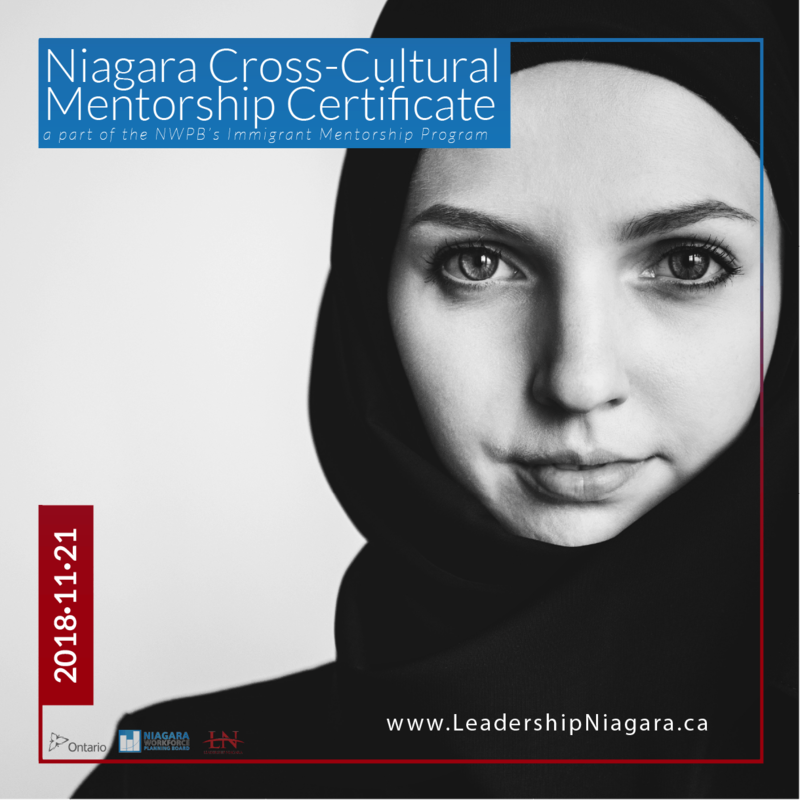 Niagara Cross-Cultural Mentorship Certificate (NCCMC) is a Leadership Niagara partnership with Niagara Workforce Planning Board that provides an opportunity for Niagara professionals to give back as mentors to internationally trained professionals new to Canada. This exclusive ONE DAY workshop, “Understanding Cross-Cultural Mentorship”, provides mentors with the opportunity for a ‘perspective tune-up’ before embarking on their mentorship journey through NWPB’s Mentorship Program. 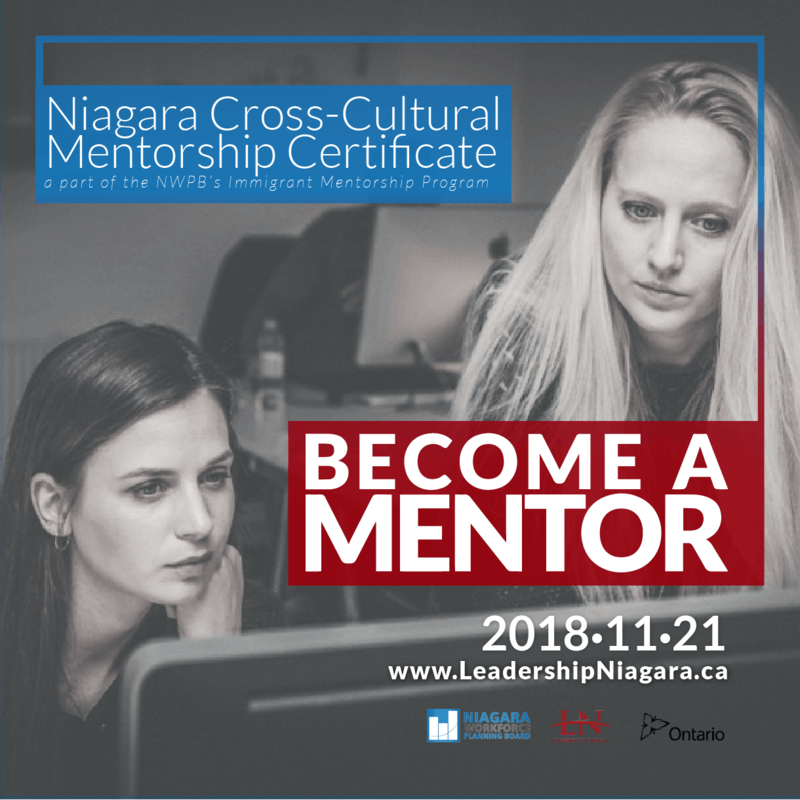 The NWPB’s Mentorship Program works in partnership with the local Employment Ontario network to pair internationally trained professionals with individuals in their field for a 12-hour mentoring commitment designed to introduce them to Canadian workplace culture and their industry in Niagara and to provide them with meaningful personal and professional connections. Click the Niagara Workforce Planning Board logo below to learn more. Please sign up below to be on our wait list for the next session. Thank you for your interest, but applications have now closed. If you are interested in opportunities like this in the future, please sign up for our e-blasts and receive Leadership Niagara news straight to your inbox!